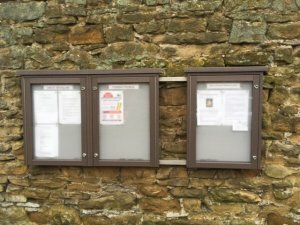 There are 3 Notice Boards around the parish (Great Hucklow, Grindlow and Little Hucklow) which used for Parish Council business. Community Notices may be allowed subject to approval of the Parish Council. In addition Community Spirit has a Notice Board in Great Hucklow which is used to display information about up and coming events.